We provide admissions strategies and application support for entry into top Canada, US, and UK institutions. You have many questions that need fact-based answers. What courses do you need to take in high school? If going to the US or UK, what tests are required? Which extra-curricular activities are required? How do you fill out your application in the way that best reflects you? What are your chances? How can you turn your dreams into a real opportunity? Our services include customized admissions strategies plans, career guidance, monitoring and assessment, and studying resources. We provide experienced support for applications to schools in Canada, the USA, and the UK to both permanent residents and international students. Students, take this quiz to find out how much you know about applying to post-secondary! We accept students at anytime during the year. Twice a year, we host an information seminar about applying to US universities. For an appointment, please contact us. Dr. Wu has had over 7 years of experience as a Harvard Interviewer. He holds a Ph.D from Harvard University and a Bachelor's Degree from the University of Chicago. His long educational career in the United States has allowed him to gain internal insights into the college admissions process. He also spent 5 years as area chair for San Bernardino and Riverside Counties in California. He is highly experienced helping students apply for undergraduate, graduate and professional (medical, law, business) schools. 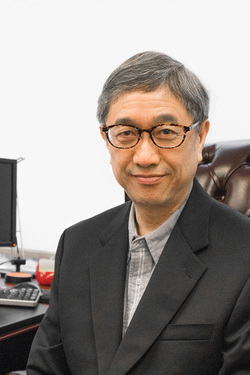 Aside from editing application essays, Dr. Wu also edits college, master's and Ph.D. theses.